If you buy dried cherries, you’ll receive an amazing punch of flavor in that small, colorful fruit. Dehydrated cherries are a delightful blend of sweetness and tartness. They are also an incredibly diverse food. Because of the health benefits dried cherries offer, you can feel confident about making them a favorite go-to snack. You can buy the best dried cherries online, to enjoy often as part of a healthy eating lifestyle. Studies show that dried cherries can reduce inflammation and pain. Including dried cherries in your diet can help improve your sleep. Dried cherries can help lower your cholesterol and blood sugar. For flavor, convenience and economical benefits, buy the best dried cherries and buy bulk dried cherries. When you find a company that offers dried cherries for sale, you’ll always have a resource for a rescue remedy when your daily meal plans and snacks gets boring. Dry cherry is a delicious, healthy topping for ice cream, yogurt and oatmeal. Dried cherry is also a great addition to trail mix and homemade granola. It’s good to find a source from which to buy dried cherries online so that you can easily keep a supply available for cooking with and snacking on. When it’s time for holiday meals, you’ll find it very helpful to find dried cherries for sale at an online site that delivers high quality cherries that will enhance the flavor of salads, main course dishes and desserts. 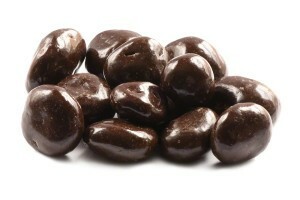 Dry cherries, especially those covered with chocolate, are a wonderful gift idea for any occasion. One good reason to buy dried cherries online is that fresh cherries have a relatively short shelf life. Another reason is that removing the pit and waiting out the process required to dry cherries at home is a quite time consuming. When you find a source from which to purchase dried cherries online, you save yourself a lot of time and effort. With the busy schedules that many people have, the convenience of having a healthy, delicious product delivered to the door far outweighs the idea of engaging in a time consuming, somewhat labor-intensive activity such as drying fruit at home. The nutritional benefits in dried cherries is reason enough to make dried cherries bulk purchases. When you buy dehydrated cherries, and incorporate them into your meals and snacks, you will be getting many of the vitamins and nutrients you need. They are an excellent source of fiber. You can get over 40% of your daily value fiber requirement in 40g of this dried fruit. They are also a good source of vitamins A, C and E. They contain antioxidants that help support your immune system. Dried cherries contain calcium and boron which make them a good food to include in a diet design for bone health. They are also a good source of iron, potassium and copper. Dried cherries aid in collagen production, support new tissue growth and aid in healing wounds. Anthocyanins give cherries their magnificently rich, dark color. Anthocyanins also protect your body from environmental toxins and free radicals that can accelerate the aging process and damage cells. A weight loss diet can include dried cherries. When you buy dried cherries to include in your diet recipes, you can be sure your diet meals and snacks will have an exciting, flavorful kick to them. Having great tasting snacks and recipe ingredients can make dieting a more pleasurable and ultimately more successful adventure.